Click to get the flower pattern. 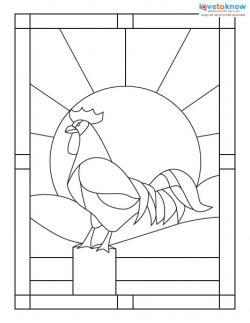 Free patterns help keep costs low when making stained glass crafts. They are available whenever you feel the urge to create something beautiful with no need to dig out your wallet or run to the store. Simply print out these patterns and start crafting! The pattern above and those below can be downloaded with a simple click of your mouse. If you have trouble downloading, opening, or printing the patterns, use an Adobe printable guide for help. The logo will not appear on printed patterns. 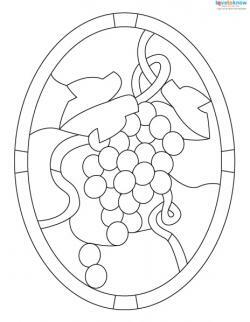 Click for the grapes pattern. Click for this rooster pattern. Click to get the angel pattern. DelphiGlass - Over 100 free patterns are available to download at Delphi Glass. Choose from holiday-themed projects like pumpkins and bunnies to traditional flowers and even jewelry patterns. 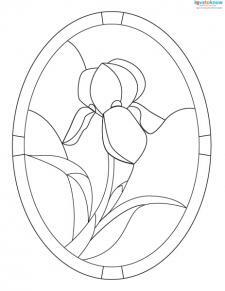 Spectrum Glass Company - Sign up for a free account and you'll have access to the stained glass patterns from Spectrum Glass. Images range from cats to birdhouses. 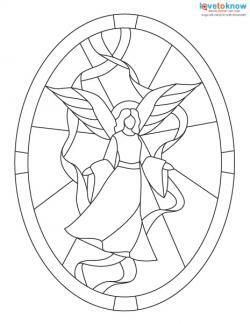 Alpine Stained Glass - Browse over 60 patterns at Alpine Stained Glass that range from shaped holiday patterns to traditional vines and greenery. 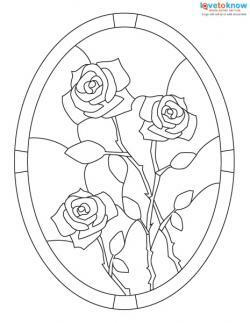 Warner Stained Glass - Get over 200 free patterns at Warner Stained Glass. Find them grouped by category on the right side of the screen, so you can easily search for the pattern you want. Even if you're not a crafter who likes working with stained glass, these patterns can provide inspiration for you in other crafts. 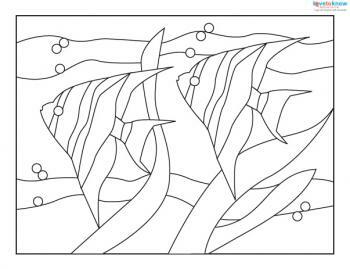 You could take the patterns directly and use them as a kind of paint-by-number pattern to paint a similar design onto a canvas or as part of a craft project. Simple designs could be converted to quilt patterns very easily; just use the stained glass pattern as a pattern to cut out your fabric pieces. Similarly, you could use the lines of the pattern to make a mosaic (with tiles or even cut up paper). Trace the pattern onto a grid and convert it into a cross stitch pattern. If there are kids in your house, the patterns make wonderful coloring pages, and kids can make their own stained glass windows by cutting up little bits of construction paper, card stock, junk mail and wrapping paper and gluing them onto the pattern, making their own mosaic collages. Even if you're new to crafting with stained glass, you can use these patterns to get started. From simple painted projects to glass masterpieces, these patterns are a great place to begin your project.